Danika is too young and innocent, but also the daughter of Damien’s best friend. He should stay away, but he’s imprinted on her, and that means he has to have her. Danika Harrison has loved Damien Locke since she knew what the emotion was. He might be older than her, but she doesn’t care because she wants him. When they share one night together and he tells her he has imprinted on her, she knows she is lost for the older man. Damien, a lion shifter, and friend of Danika’s father, forced himself to leave his mate behind for four years. He’s imprinted on her, and that means he can’t walk away again. 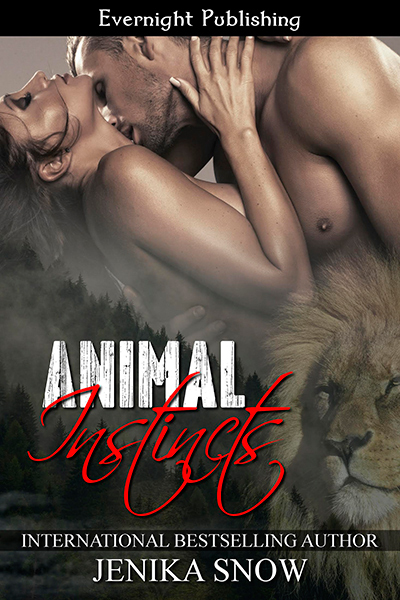 Now that his animal has awakened for her, he is obsessed, possessive for Danika, and can’t let her go. She is his and she’ll wear his mark to prove it.